If you’ve ever dipped a toe in the shallows of online business, you might have heard the term “drop shipping” thrown around. But what does it truly mean? What’s involved? Why do we hear about it more every year? And, most importantly, how can it help you grow your business? How do I choose the best drop shipper for my business? How do I integrate drop shippers with my Volusion store? To learn more, read on! Simply put, drop shipping is the process of shipping goods directly to your customers from a third-party supplier or “vendor”, without an intermediary step (like storing the goods at your physical business location). Your business routinely orders the product from a supplier to maintain inventory on hand. Your business stores the products until a customer orders them. 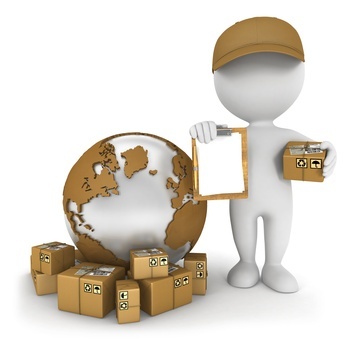 You process each customer’s order, package the goods, and ship them to the customer yourself. A customer orders products from your business. You pass the order info along to your drop shipper. 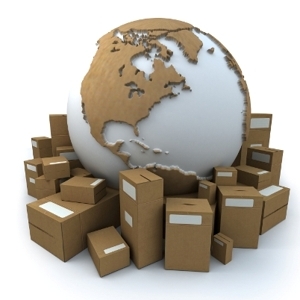 The drop shipper packages the goods and ships them directly to the customer. Drop shipping eliminates the need to keep inventory on hand, freeing your business from the (time, labor, and monetary) costs of keeping your goods on hand and maintaining your own warehouse property to store them. Even if you only drop ship some of your goods, you’ll be freeing up resources for the items that need particular attention. It even allows you to offer items that would normally be impossible to ship due to your location’s limitations, like extremely large or perishable goods. You can be based anywhere in the world, and your items will still reach customers right on time! Another benefit is that your drop shipper takes care of the entire physical process of packaging and shipping your products. Because drop shippers are often large businesses dealing with many orders a day, they may even have negotiated shipping rates that are lower than the ones your small or medium business can get; Those savings get passed on to you, and your customers benefit in turn! Drop shipping can also reduce losses from damaged product’s since shipments take a more direct route from warehouse to the customer. In addition to eliminating the need for the physical inventory storage, drop shipping can prevent logistical headaches and customer service woes. You don’t have to worry about overstock or shortages on your end, nor is your company as susceptible to the risk of shifting trends that cause certain products to suddenly fall in or out of favor. And if you ever need to expand your selection to new items, many drop shippers have a wide variety of goods to offer, from extremely niche items to popular or classic sellers. Between the ability to expand and the flexibility to choose your company location, drop shipping naturally promotes scalability! How do I find a drop shipper? You can also find drop shipping “aggregators” online, either in the form of comparison lists and blog articles, or actual companies whose purpose is to help you find the perfect drop shipper for your business. These can be free or paid resources, but just as with the drop shipper itself, do your homework to ensure the aggregator is honest, reliable, and reputable in the field. How do I choose the best one for my business? What goods do they provide, and at what cost? Are there additional fees? Payment options? If they don’t match your desired inventory or overhead, the decision will be quick. How long have they been in business? A veteran drop shipper is usually preferable, one with a record of trustworthy and safe shipments (and happy customers) going back a decade or more. Who do they ship with? If they use a particular shipping provider, is it well known? Capable? Can they ship anywhere in your region? Do they have limitations on goods they can ship that exclude you? Who else do they ship for? Are you using the same service as your competitors? (Not necessarily a bad thing, if you believe you can out-compete them elsewhere.) Would you be their largest client? Smallest? Somewhere in the middle is preferable, so the drop shipper isn’t stretching out of their comfort zone to meet your needs. What customization do they offer for shipping? Can you put your branding on the box your customer will see? Can you add coupon codes or contact info? Do they send order notification emails? What is their return policy? How do I integrate them with my Salehoo store? Compared to the process of investigating and searching out your “perfect supplier”, setting them up to work with your store should be easy as pie. For Salehoo stores, there are two ways to set up drop shipping – standard drop shipping, where you generate Purchase Orders yourself when you need an order shipped to a certain address, and Auto Drop Shipping, where your drop shipper is sent a purchase order automatically for each order that comes through your store. Both methods involve creating Vendors (a representation of the drop shipper in your store, including their email info) and vendor rules (a record on each product defining things like the minimum quantity, price, and vendor’s name for the product for the purchase order). The articles linked above go into the specifics, but essentially once you have these two sections set up you are ready to go – you can create your own POs for your drop shipper in Inventory > Purchase Orders, and if your products are set up to auto-drop ship, you can sit back and let your store process them on its own with each order! You can even process received items (if, for example, you needed to restock your own store using the same system). Keep in mind that the lower prices you set in these sections for the drop shipper products are for your own record keeping – payment of your supplier is handled outside the Salehoo system. So concludes the Beginner’s Guide to Drop Shipping. There is certainly much to gain from the streamlining and versatility of using a drop shipper, so long as you follow the tips above and ensure the one you choose is right for your business needs. With a bit of homework, negotiation, and set up, you can have your store working for you in no time! Author: Michael Crary is an avid reader, writer, and student of history in Austin, Texas. When he isn’t managing his team at Volusion, you can find him sampling local cuisine, making awful puns, and playing “bored games” with friends. Thank You, Thank You, Thank You for reading. This article like others on AUAOM.COM are governed under a Creative Commons License. Please continue to read, share and cite your sources.